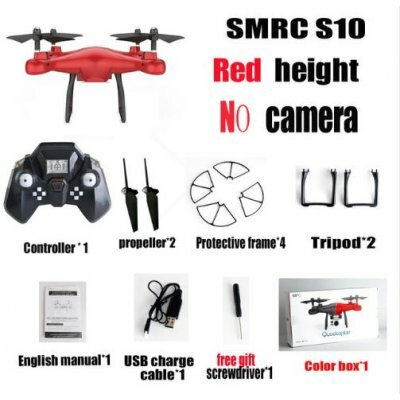 Successfully Added SMAO/rc S10 RC Quadcopter to your Shopping Cart. Adopting advanced plastic material, resistant to fall and collision, long service life. With HD wide-angle lens, a wider range of scene can be taken, recording good time in your life. Powerful motor and gyro make it much stable and flexible to fly, has an excellent performance. Using WIFI to connect it with your phone, easy to operate, has a high playability. A perfect festival or birthday present for your kids and friends, adding more fun to their life. Error of 1-2mm may exist, as different computers display colors differently, the color of the actual item may vary slightly from the pictures. Hope you understand.